I finally broke down and realized that you need eggs to make Paleo wraps. The thing is, I really hate using a lot of eggs in my recipes. One, we already go through 2 dozen eggs a week, not including my baking. Two, I hate eggy tasting foods. After working on this for a month, I finally got the egg count down to four ( one egg will only use the egg white) and, in my opinion, they taste pretty darn good. Again, I broke out my new favorite ingredient, sesame seeds. They really give the wrap a lot of depth and flavor, and they would pair really well with hummus or curries. I was almost tempted to call this naan or pitta because the flavor is so similar. 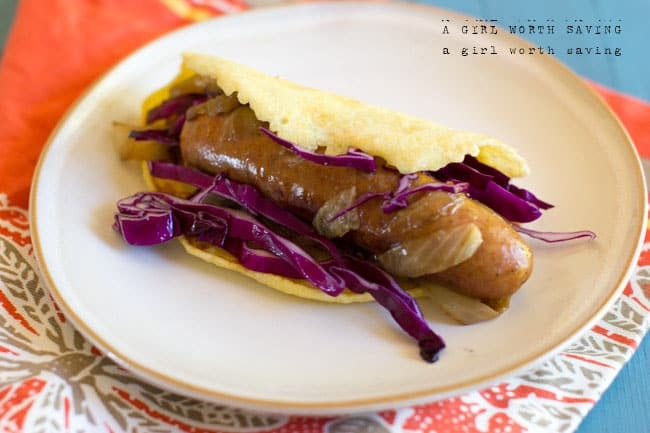 However, it goes really well with anything you want to wrap up – or goodness, I didn’t even think about it, but this would be an amazing Quesadilla! 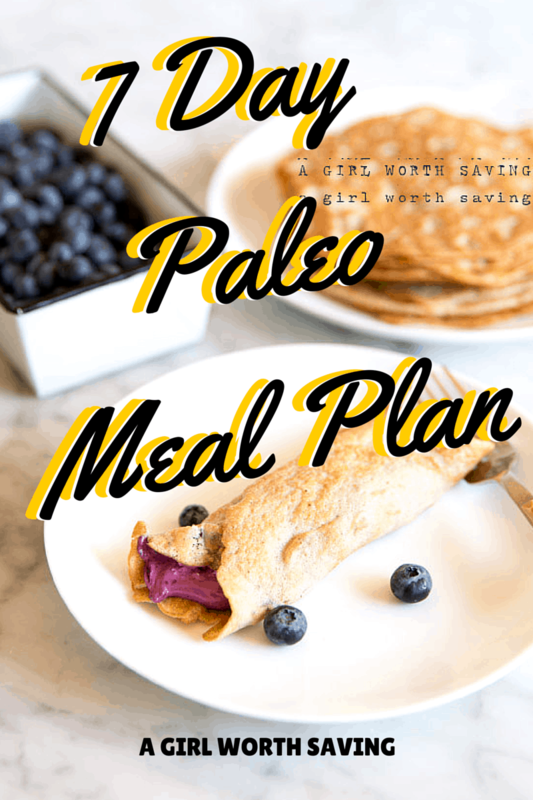 I ended up making Paleo Enchiladas with this recipe and they are seriously amazing and hold up perfectly even with the sauce. The texture of the wrap really reminds me of a flour tortilla and wow, is it foldable. These freeze and reheat really well so you can make a bigger batch and freeze some for later. 1/4 cup sesame seeds grind into a flour in your coffee grinder - you can substitute almond flour for this too. 1 Tablespoon coconut oil to grease the pan. Place a medium skillet over medium heat and grease your pan with the coconut oil. In a mixing bowl add the ingredients and whisk for one minute. Pour out a 5" circle into your pan and cook for 3 to 4 minutes until browned. Remove from the pan and repeat. Tip: Re-whisk the batter before you pour a new wrap. Looks great! How do you grind sesame seeds? Or how much sesame seed flour would you use? I use a coffee grinder 🙂 I also use all the flour that I get from grinding 1/4 cup of sesame seeds. I can think of so many ways to use these wraps. And it’s nice that they can be frozen for later too! I feel the same way about eggs. I use eggs IN things, but I don’t like the flavor of eggs. 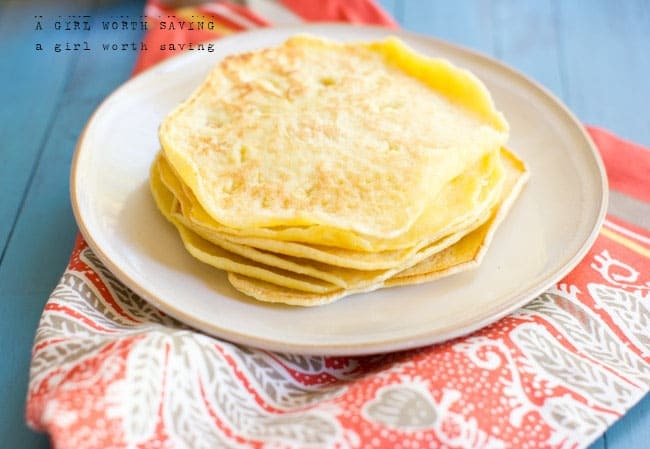 I love these as a gluten-free tortilla alternative! These look FANTASTIC! But I wouldn’t be able to use sesame seeds (my kiddo is allergic) – do you recommend a replacement? Le me play with it. It needs a bite and I’m not sure, maybe pumpkin seeds would work. We had to make ours without sesame seeds (no sub), and they’re still SO good!! I’m so glad you enjoyed it Debbie and thanks for letting me know that this works without the sesame flour! 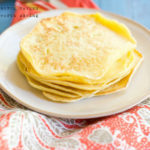 From first glance at the photo I thought these were corn tortillas. They look amazing, especially how pliable they are. Thanks Jenn! That’s what I was shooting for when I created the recipe! Do the eggs need to be at room temperature and can they be used right out of the fridge? Can’t wait to make these. They look scrumptious. Going to make a chili cheese dog doing Low carb and these should fit that nicely. That sounds good! I’ve been craving chili dogs so I’m going to try that! I’m eating enchiladas made with these wraps right now. They are fabulous. I think i’ll make another batch tommorrow. Delicious!! I’m so glad you enjoyed them Kelly. I had them for dinner tonight myself! Just made these tonight and they were perfect! I can definitely see making more for the freezer. I do plan to package up the dry ingredients to make it easier to make in a hurry. I have not tried any other wrap but with this recipe, there is no need to. They are tasty and quite foldable. Can’t wait to try the dumplings in chicken soup next. Good job Kelly! I really want to try this recipe it sounds like just the perfect diy alternativ to store bought wraps!! 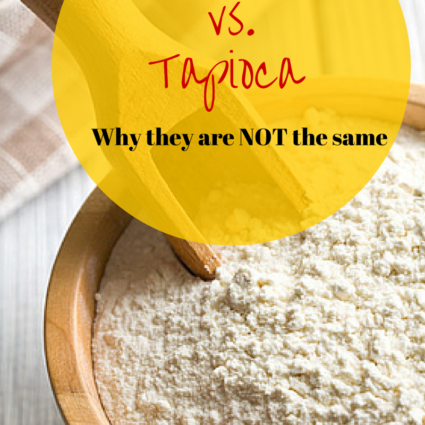 I just want to ask about the Tapioca flour…hav u tried any other flours for this that worked? Hi Laura, you can try arrowroot. A lot of my readers use it as a replacement flour. I made these today for the first time and they are absolutely fabulous! I will definitely be making them again. I didn’t have anything to grind my sesame seeds so I just used more Tapioca Flour and they turned out great. Thank you for the great recipe! Thank you so much for this delightful recipe! I used themto makemy chicken, bacon, cream cheese taquitos and homemade chicken enchiladas and they were a huge hit! 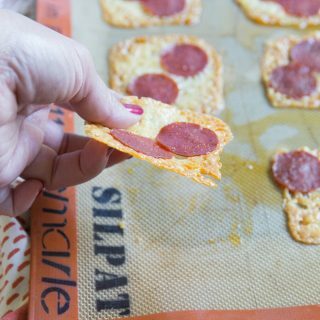 This is, hands down, the best recipe I have tried so far!!! What would be a good substitute for the Cream of Tartar? I’ve tried baking soda and it works. Just half it because when I used the same measurement the taste was really strong. I am def making some of these this week. I’ve been eating primally for the last 6 weeks and my kids are mostly on board, it’s jut the lunches, they have wraps every day with different good meats veges etc in them, but now that I have found these, they will almost be all primal too! God knows they behave like cavemen most of the time!!! What heat level did you cook these on? There is no indication in the recipe that you ever turned the stove on at all …. Sorry to have to ask for guidance, but I would like to try and get it right the first time. Kelly, can you please tell me if you can freeze these? They are great by the way! Hi Lisa, Honestly, they don’t last long enough in our house. I don’t see why they would not freeze well because eggs and tapioca seem to work great in make ahead meals. I tried the recipe for the creeps and they tasted great, but I burned the last two. I used the eggs at room temperature, will try them again as they tasted wonderful. What’s cream of tarter? I’m from Holland. Never heard about it! You can use baking soda. Just use half of the measurement as it has a strong taste. Mine turned out very eggs and after doubling the recipe I only ended up with 9… hel? I’m sorry this didn’t turn out well for you hun. Perhaps replace another egg with an egg white? I made these this weekend for Taco’s and they were very good!! You can switch up the flavor of them easily with fresh herbs! I was able to make 4 tortilla’s out of this batch. I would double the batch next time and freeze them! Enjoy! Yeah! Thanks for the tip about the fresh herbs! I made the wraps today and they tasted great. But my mixture was very thick and I only got three. Do you have any idea what I might have done wrong? Hrmm . I’ve found that egg size isn’t standard. Were you using pastured eggs? They tend to run on the small size and would affect the “liquid” measurement to do this correctly. I want to thank you for this fantastic recipe! My husband has agreed to go down this new paleo path with me and I have struggled to find breads that he will eat (most smell funny to him – they smell like nuts but what can you do with this guy?). So when I made these wraps I cautiously waited for the verdict – and he loved them! I’ll be making these all the time from now on – thanks a bunch! yeah! I’m so glad you enjoyed it Kim! These are fantastic, I just made them and my 5 yr old loved them. She starts school this year so I’m wondering how well they keep? Will they go hard if I keep a batch in the fridge? Or are they best to be kept out in the pantry? They will firm up in the fridge. You can leave them out on the day they are eaten. I’m so glad your kiddo enjoyed them Kate! Hi! I realize that you said that these do not last long at your house,but I was wondering if they could be stored at room temperature. I have an out of time business meeting next week and these would be helpful to have on hand to help with the meals. I would keep these in the fridge for long term storage. You can leave these out of the fridge the day you are going to eat them. Would it work without tapioca starch? I have similar effects to gluten sensitivity with tapioca starch. I stupidly purchased arrowroot flour instead of the tapioca flour called for in the wraps (from the recipe in the Paleo Eats cookbook). With the rest of the ingredients already in the bowl, I figured – what the heck – I’ll just give it a try with the arrowroot flour. The wraps turned out wonderfully, but I promise to get some tapioca flour and make them as directed. Still, it’s good to know that the arrowroot can be used in a pinched. These wraps are very good, and I’m so pleased to finally have a good wrap recipe. They’re not only tasty, but the texture is lovely and they are both sturdy and pliable. Wraps are so versatile, and can be used in so many different ways in paleo cuisine. I just spread a little butter and maple syrup on a warm one … and called it dessert! Thanks for the great cookbook. Are sesame seeds really Paleo? Hi Sandy, yes, they are hun. Kids are just too much. So glad your all enjoyed it Abby! Have scanned through all old comments so sorry if already asked. Do these work as a cold wrap for sandwiches? Looking for something my daughter can take to school. She is doing quite well with not needing a sandwich/wrap daily but know she likes them and it will help her with the changes we have made to diet. They are pretty firm when they are cold but if you keep them at room temp they should be fine (i.e. putting it in a lunch box for the day). 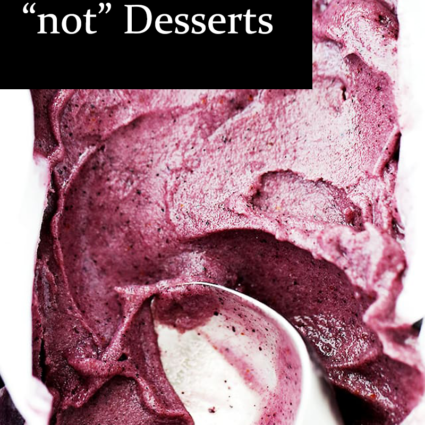 Is there anything I can use instead of “cream or tartar,” (preferably not baking soda because of the high amount of sodium)? Thank you! Baking soda is what I was going to recommend. You could probably get away with using 1/4 teaspoon. I made the wraps this morning. I love the recipe. Mine seemed to be thicker than yours, so I add a tablespoon of water…… Perfect!! Yeah! So glad you enjoyed them Christine! Question: do they taste eggy? I tried another paleo wrap recipe and couldn’t do the flavor? Can you use egg replacer for folks with egg allergies? Tapioca works well with egg replacer hun so it should work well. You may need to tweak the flour measurment though. Those wraps are just perfect.. thank u for the recipe. ..
Best wraps Ive found since I dont tolerate cassava and tapioca. Made these with arrowroot and almond flour (since I discovered my spice grinder is dead). Rolled them and froze, perfect to pull out for a quick meal. I enjoyed my first taco in a long time the other night with my family instead of having taco salad. Thanks. Taking them to a taco dinner party tonite for us non-grain crowd. Woo hoo!! Have also made them wtihout the garlic for sweet applications – nut butter and jam for instance. So glad you enjoyed them Sharon! How many wraps does this recipe make and can I substitute butter for the coconut oil? do you use as I would want one that can also grind almonds & coconut in flour if that’s possible? It’s probably a stupid question; however, when I made these today I wasn’t sure if the 1 Tbsp of coconut oil was supposed to be added to the batter or used in the pan. I added it to the batter and used additional coconut oil in the pan. The recipe made 6 wraps. I haven’t used them yet, but my taste test was good. Hi Carolyn! It’s to grease the pan and I just updated the recipe. Enjoy! Thanks, Kelly. I just wanted to let you know that I love your wraps! I add all purpose seasoning to give a savory flavor. I’ve made them with the sesame seeds, the almond flour, a mixture of both and with ground flax seeds when I was out of both sesame seeds and almond flour. All were wonderful. Thank you for a great recipe. I used almond meal that I lightly toasted before using as it was a little old. Was really nice. Soaked up the lamb roast sauce beautifully. Added salad. Yum. Awesome!! I’m so glad your kiddos enjoyed them hun. I was excited to see a gluten free recipe for wraps. So, i made the recipe, as written, using Almond flour (in place of sesame flour and Arrowroot, in place of the Tapioca. Normally, with this kind of batter, I would swirl the batter, in the pan (ala’ Crepes), to evenly distribute it. However, I wasn’t able to do that because almost immediately, when the batter hit the pan, it created a raised edge, preventing the swirl. This caused the batter to puddle. As it cooked, it created a thicker pancake/wrap than I wanted. So, I went back to the drawing board. I trippled the recipe (using 14 whole eggs – we have laying hens & get 9-11 eggs a day :-). I also added 2 Tbsp of filtered water. I made my wraps in a 10″ non-stick fry pan, using 1/4 cup batter at a time, pouring it in a circle and then immediately swirling it to cover the pan. You are so welcome Claudia! 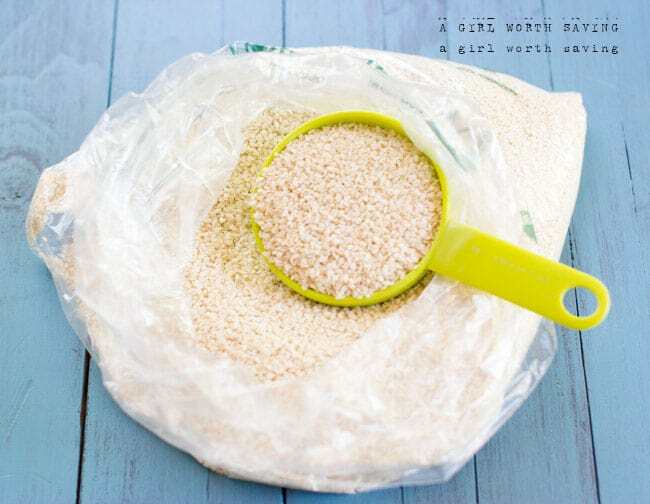 Hello, can i used a Soy flour or the Bob’s Red Mill AMARANTH flour instead of tapioca flour for the wraps? Soy will not work hun. You need a starchy flour to make this recipe work. Arrowroot would work if you don’t want to use tapioca. I have been searching for something to made a lunchtime sandwich with….or a healthy crepe…or tacos. This fits the bill all the way around. The texture, taste and rollability is perfect. Like you’re I was pre-diabetic a year ago, and lost 75 lbs after eliminating sugars, breads, pastas and bad carbs…..and adding proteins, good carb fruits and vegetables. But I added seed and nut breads back in (because I LOVE breads) , and now my tummy is back, and I can’t lose any more weight. This will feed my craving (in moderation if course) while keeping me healthy. I’ll be changing the seasoning from garlic to whatever the wrap will be for…cinnamon…..cumin….dill. I used almond flour instead of sesame…worked fine. P.S. I’m from McMinnville OR! Hi neighbor 🙂 So glad you enjoy the recipe hun! Oh this was just perfect and simple! I used all egg whites instead and it still turned out great. I decided to make some premixed bags to keep on hand so all I need to do is add egg whites. Love it! So glad you liked it hun! Just made these today. I made them a little larger and got 3. I used almond flour. I recommend swirling the pan immediately after pouring in the batter to make sure they’re thin and even. I could smell the egg when cooking and the texture looks eggy but they’re pretty sturdy and have a strong, pliable texture that tastes pretty neutral – even good with butter. I am going to try it with two eggs and two egg whites next time. Used them in a chicken verde enchilada dish and they held up wonderfully and tasted GREAT! Will make again…and again. So glad you enjoyed them Rachel. I just made these and then decided to read the reviews. I also used almond flour as well. My daughter who despises eggs didn’t watch me make them but tasted one and raved about how delicious they are. The first one came out thick, more like a pancake, so I swirled the pan and made them thinner. Without the savory ingredients would likely be a delicious pancake. Recipe is a definite keeper. Thank you Kelly!! Thank you for this recipe. Interestingly enough, I decided to use Trader Joe’s spice jar of “everything but the bagel” which includes, garlic, onion, poppy seeds and both black and regular sesame seeds. I adjusted the quantities and whirled all that into the vitamix to make the powder. I made the enchiladas last night and they were a hit! I love how you made it your own! These are amazing!! I poured mine a bit thinner and made 6 with one batch. 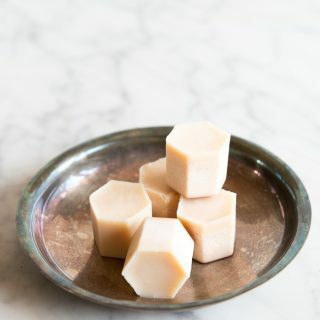 I’m definitely making a large batch and freezing these! Love them! And they fold without breaking! This recipe is a keeper! Hi Kelly, I made it today, the texture is great but it has bitter taste, I wonder the bitter taste is from the sesame seeds. I bought from amazon via your link. Does sesame seeds supposed to taste bitter or I got a bad batch?